I am selling 2 lots of soap. All the soaps have been lightly used. Well over 90% left in each. I am asking $40 for each. I will offer an additional 10% discount if you purchase both. Prices include shippping CONUS. Thanks for looking. The total value of this lot is $56.50. 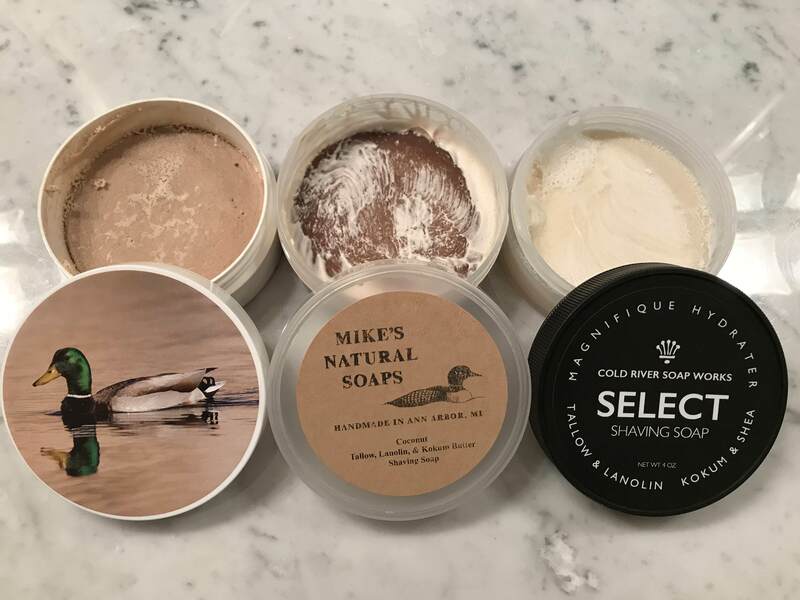 None of these soaps are currently available. The total value of this lot is $57.50. The Grooming Dept and Mike's are currently unavailable. Lot 2 is sold. Lot 1 is still available.